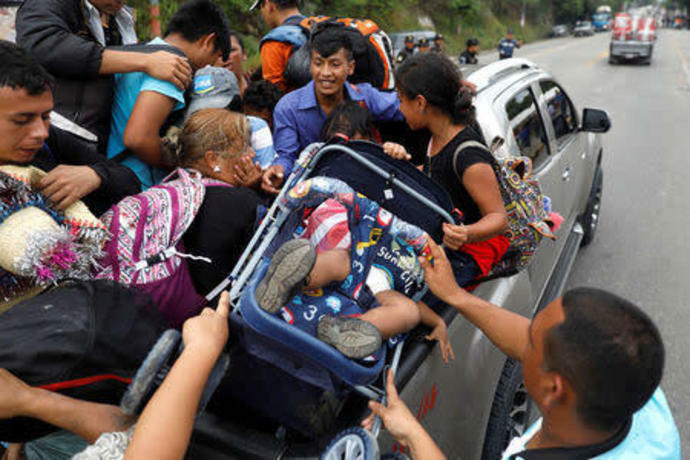 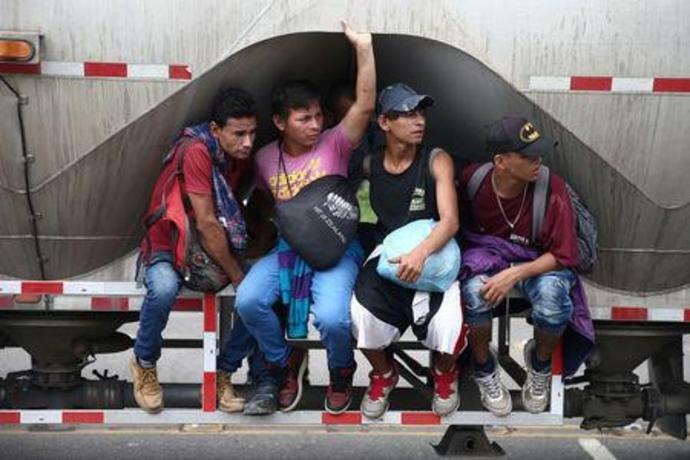 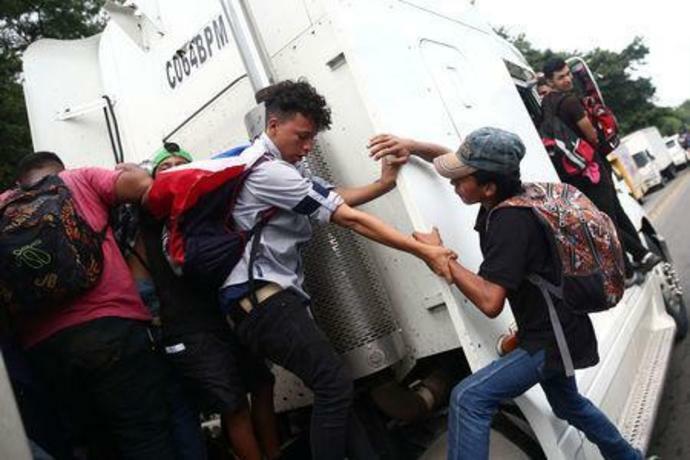 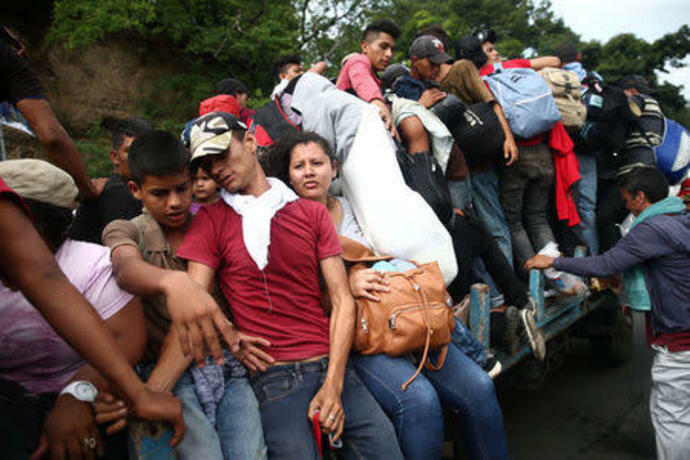 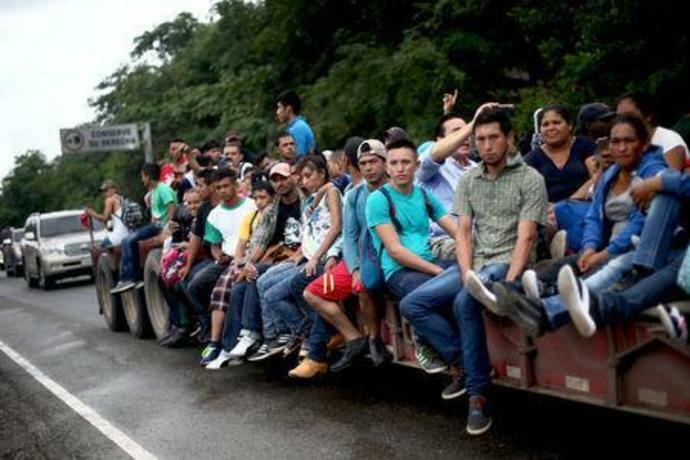 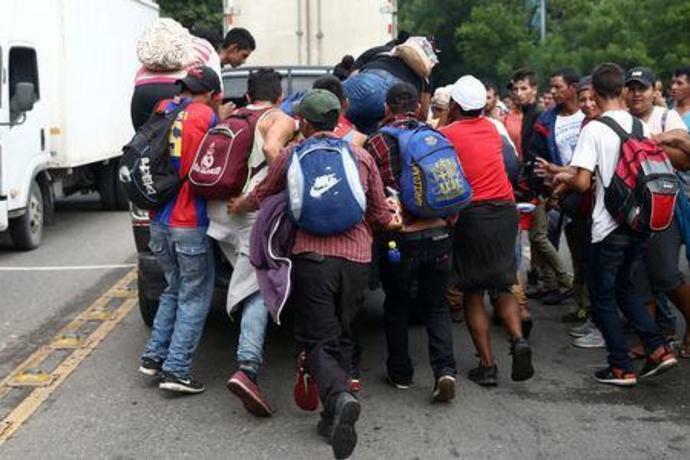 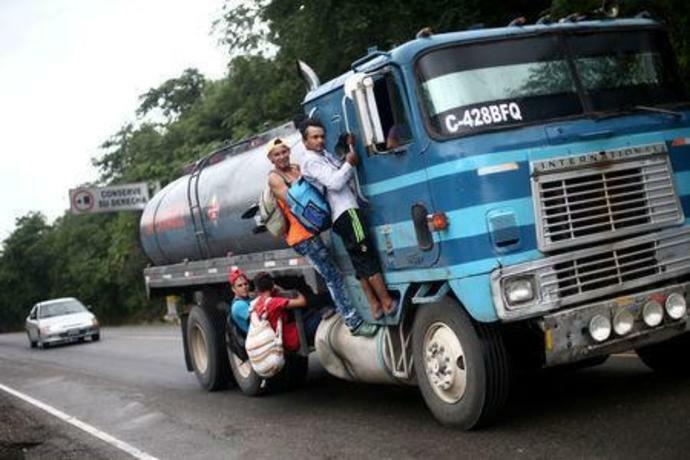 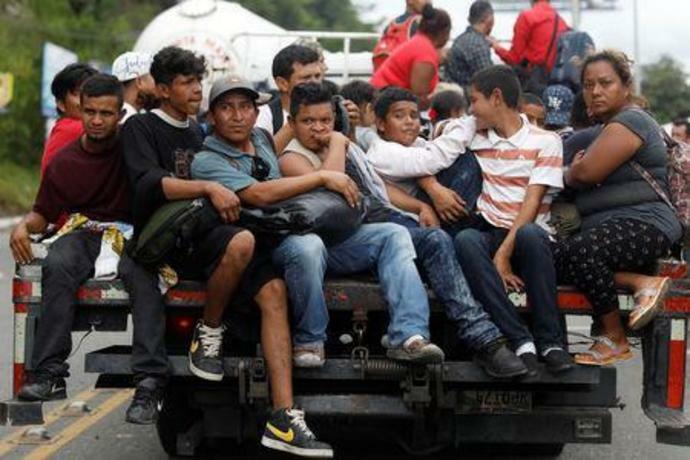 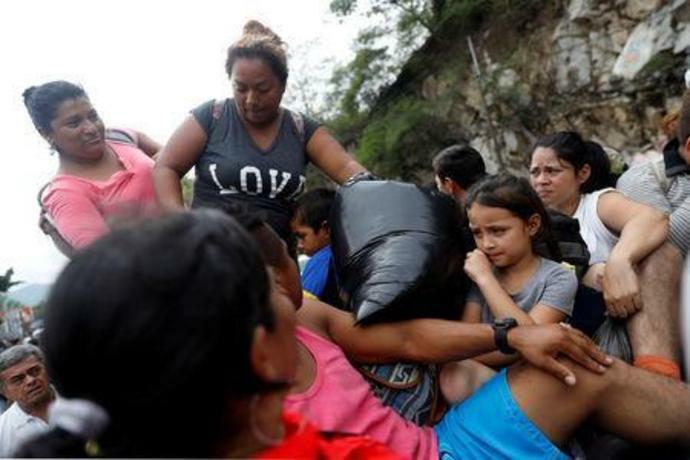 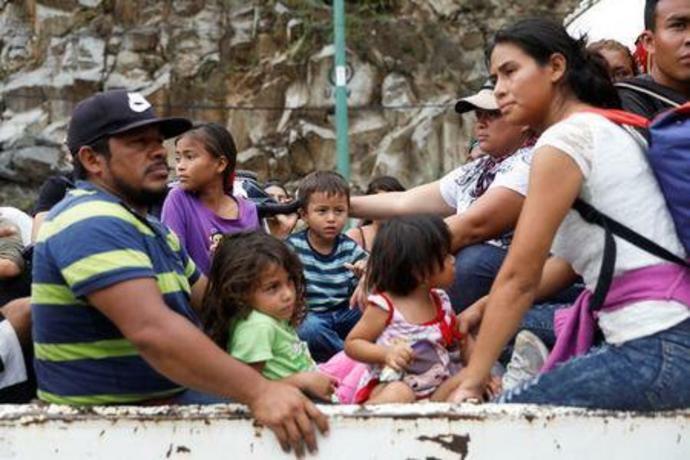 Honduran migrants, part of a caravan trying to reach the U. 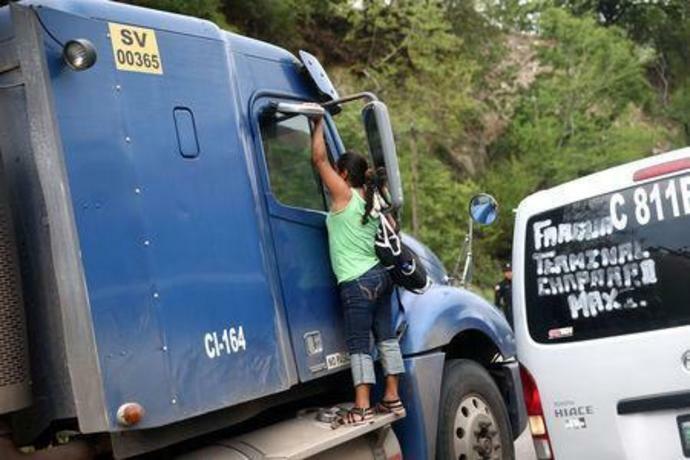 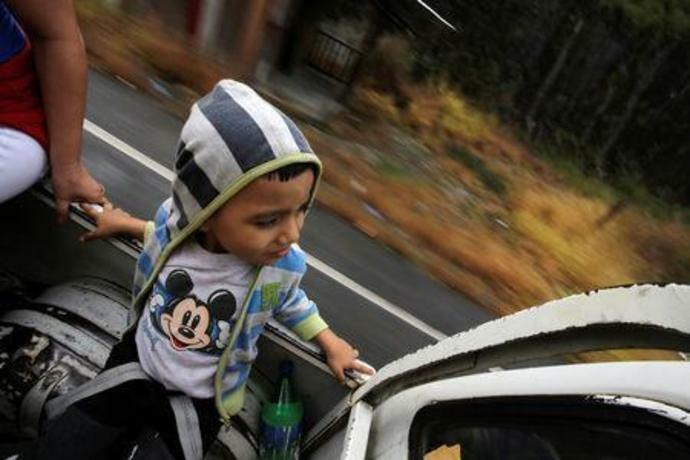 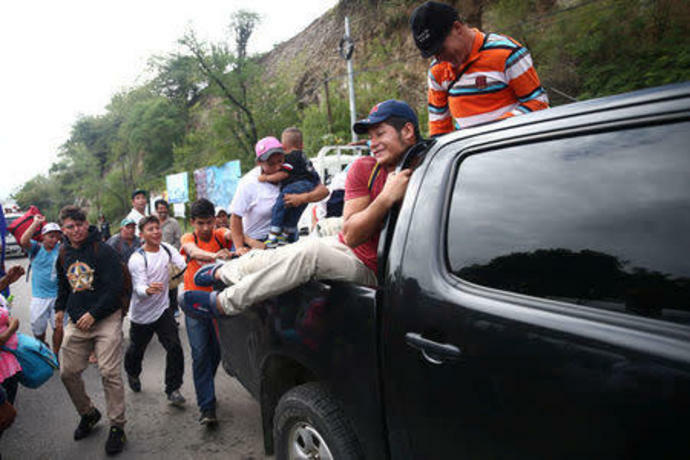 A Honduran migrant child is sitting on the back of the truck, after hitchhiking to get into the Agua Caliente border and hoping to cross into Guatemala and join a caravan trying to reach the U.
Honduran migrants queue to show their identification to the officials near to the Agua Caliente border, hoping to cross into Guatemala and join a caravan trying to reach the U.
Honduran migrants try to hitchhike to get into the Agua Caliente border and hoping to cross into Guatemala and join a caravan trying to reach the U. 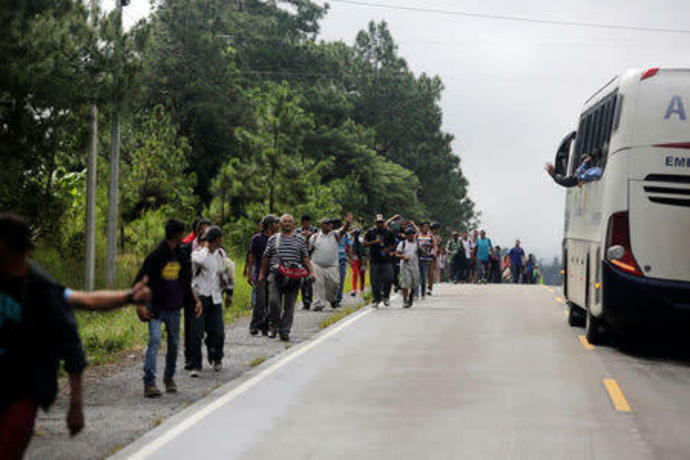 A Honduran migrant, part of a caravan trying to reach the U. 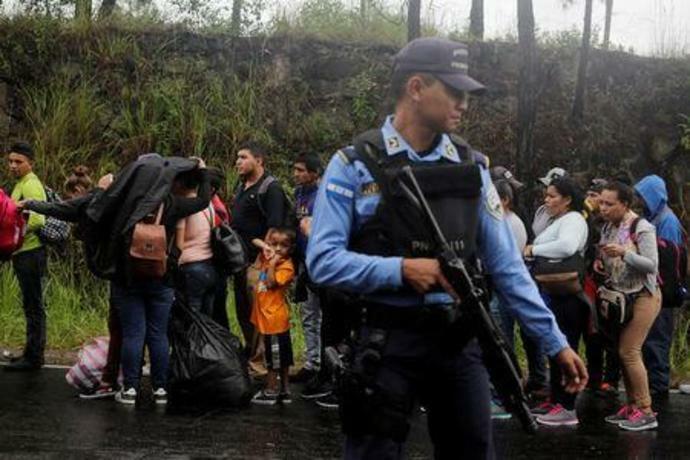 Later on Wednesday, Guatemalan President Jimmy Morales said his government rejects constraints placed on foreign aid. 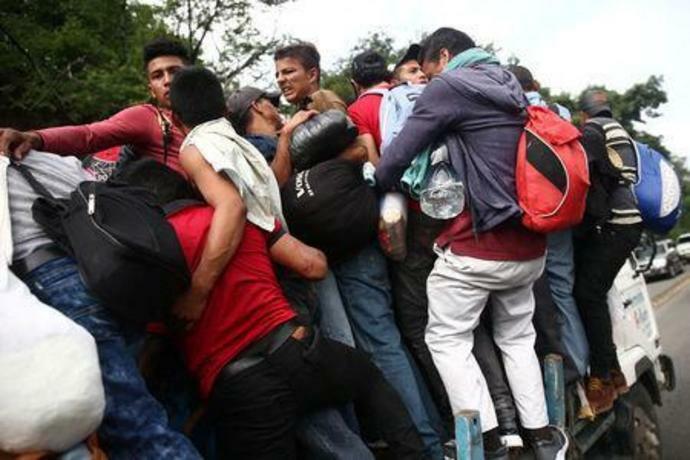 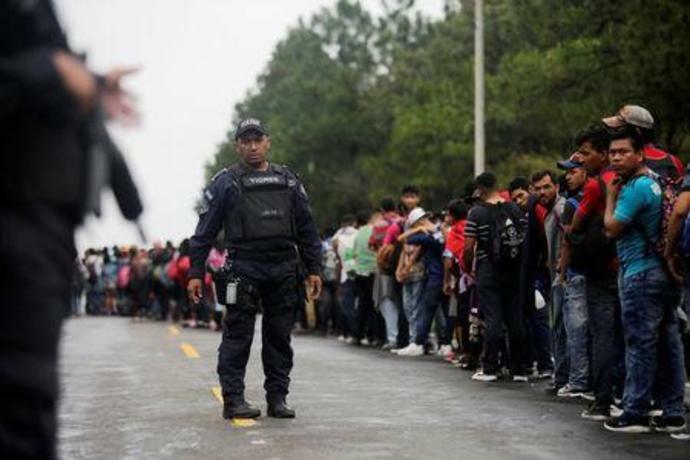 He said he had spoken with his Honduran counterpart, President Juan Orlando Hernandez, about ensuring that those migrants who want to return home can do so safely, and cited reports indicating that "many people" from the migrant caravan are returning to Honduras.